On this blog we try to highlight many of the unique characters in Whistler’s history. Being a mountain community, however, many of the local mountains are arguably as familiar as any person. In the past we’ve set the spotlight on Fissile Mountain; today we shift slightly northwards to Wedge Mountain. Wedge is an iconic local peak first and foremost because at 2895 m (9497 ft) it’s the tallest peak around. In fact, it’s summit is the highest point in Garibaldi Provincial Park (not Mount Garibaldi, as is commonly assumed), and all of the southern Coast Mountains. To find a higher peak you need to go the remote Mount Dalgleish, 100km to the north west, or to Mount Baker, across the border in Washington State. Wedge Mountain (at right, above the cabin) is visible from just about anywhere in the valley, Rainbow Lodge and the entire westside have an especially clear view. The mountain’s wedge-like shape is quite evident from this angle. The origin of the name Wedge Mountain is uncertain, although it presumably describes it’s triangular, wedge-like shape as seen from the Whistler Valley. 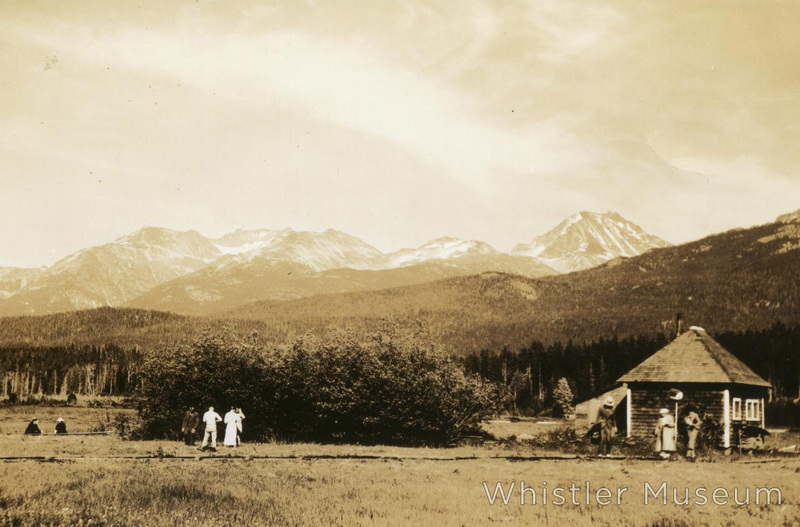 The name is probably local in origin (like Whistler Mountain), as this name was already in use when Vancouver mountaineers Neal Carter and Charles Townsend made the first recorded ascent of the peak in 1923. 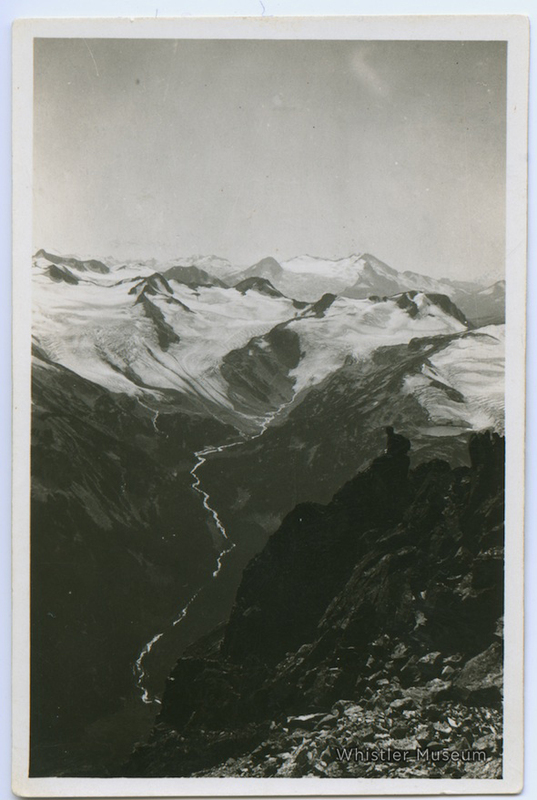 When Garibaldi Provincial Park expanded in the late 1920s, a suggestion was made to rename the peak “Mount Vancouver,” but for whatever reason it never stuck. Speaking of Carter & Townsend, we have already written about their two-week exploratory mountaineering trip to the region in 1923 which included the first ascent of Wedge (blog article here, full photo gallery here, and a virtual video recreation of their climb, using their own written account here), but needless to say, it was a dream trip. The view south from just below the summit of Wedge, towards our familiar W-B backcountry. Charles Townsend, photograph by Neal Carter. Today, most people know Wedge because of the notorious Wedgemount hiking trail, arguably one of the toughest and steepest around. The trail leads up above treeline to Wedgemount Lake and the Wedgemount Hut, built by the BC Mountaineering Club in 1970 under the guidance of long-time local outdoorsman, environmentalist and community icon Don MacLaurin. The hut is of the same gothic arch design as the Himmelsbach Hut at Russet Lake, and many other backcountry huts in the region. The idyllic Wedgemount Hut and Wedgemount Lake, with Wedge Mountain looming in the distance, right above. Jeff Slack Photo. This is as far as most people make it, and that’s more than enough. Summiting Wedge is a far more challenging ordeal, requiring proper ice and rock gear and the skills to use them, but the standard North Arete route is considered one of the classic mountaineering routes of the Coast Mountains. There are also a number of popular steep skiing lines on the mountain, the most popular being the massive NW couloir visible from Highway 99 at the north end of town. Wedge’s massive North face. Jeff Slack Photo. Few places in our region feel as “big” as the high alpine area around Wedge Mountain, but it is just one of many peaks that make our mountainous milieu special. What mountain would you like to see profiled in a future Whistorical post? This entry was posted in Environment, Recreation and tagged British Columbia Mountaineering Club, Charles Townsend, Don MacLaurin, Garibaldi Provincial Park, hiking, Neal Carter, Wedge Mountain, Wedgemount Hut, Wedgemount Lake. Bookmark the permalink.